Showing results for tags 'Persona 3'. Shin Megami Tensei: Persona 666. (A Persona 6 Fan-Fiction Idea.). Tagline: "...Dial the Devil's Number!". Synopsis: "...The year is 2018, the month is January, the day is the 1st, the 1st of the whole all brand new year, the year...in which the Devil, Lucifer himself, strikes...there is a prophecy among Satanists, it goes, as the following, ahem: "On the very 1st day of the year that will be 2018, a young man, a high transfer student, around the age of 17 will appear and with him...the ability to summon Personas, the physical, mental and spiritual manifestations of ourselves that take on multiple forms, be they Demons, Angels or otherwise...it is said according to this prophecy that the young man will become the "Devil's Number", the key needed in order to finally break the seal on Lucifer placed upon by God himself and finally set Lucifer free so that he can continue his eternal life long mission that he had begun millenniums ago: the both complete and utter annihilation of Humankind that Lucifer refers to, as "purification", he believes God's creation, that Mankind itself does not deserve to exist after repeating so very many of all the same mistakes centuries upon centuries and thus, Lucifer has tasked himself with "cleaning up God's mess" and rewrite the future course of history by destroying all mortals alike, God, refusing to allow Lucifer to have his way had ordered the Archangel Michael to confront Lucifer in combat and upon defeating him, seal away the Fallen Angel in the depths of Hell, where he would stay forever trapped, no longer able to threaten anyone...that is, until now...fearing this young man referred to, as the Devil's Number will be the one to break the seal upon Lucifer, God has once again tasked Michael to in turn task a lesser Angel to deal away with the young man before he becomes a problem, thus our story begins...in the land of the rising red sun, Japan, in the town known, as "Kokoro"..." Prologue: The Transfer Student: Rin Megumi: "Rin Megumi", age 17, a problem child...orphaned since he was aged 8 after suffering a terrible car crash accident in which he lost both of his parents and his left eye, now wearing a eye-patch at all times, Rin has just transferred to the town of Kokoro on behalf of his caretaker, his uncle having taken a job overseas and is now sending Rin to live with his aunt and her family of four including herself, their names are "Yoko Asakura", a widow who works, as a head maid at a nearby wealthy family's mansion, "Tora Asakura", Yoko's eldest and who works to pay for the money to keep the family at their small home, "Mio Asakura", Yoko's only daughter who is the same age, as Rin and of whom the latter will be sharing his new high school classroom with and finally "Takasuke Asakura", Yoko's youngest and who is a year younger then both Rin and Mio, upon meeting with Rin for the very 1st time, Takasuke gives Rin a dirty look, saying that he can "sense" something about him that Takasuke doesn't like, Yoko reprimands Takasuke, telling him to mind his language and that she hoped Rin didn't find him offensive, Rin merely shrugs his head sideways back and forth in silence with Yoko for a moment in silence herself before realizing that Rin isn't a talkative type and that upon realizing this does she recall her younger brother, Rin's caretaker, his uncle named "Yoshikaku Megumi" is also more or less the same type of person, Yoko says to Rin that it's fine for him to be silent but that hopefully, he will open up more to people, as he will need to communicate with them if he ever wants a chance at making friends, especially at his new school called "Masaki High" of which he will be attending alongside Mio in the very same classroom no less, Yoko will write a letter to the teaching board there that for the beginning period of days, Rin will remain silent, as he is trying to get accustomed to his new life here in Kokoro but promises that eventually he will speak up, since lessons do require the power of speech after all, everything now said and done with the introductions, Rin is led by Takasuke up to his new room where he will be spending the next whole year in until his uncle Yoshikaku returns from overseas after finishing his job, in the meantime, Takasuke says that he will keep a close eye on Rin, making sure he doesn't get up to anything "unnatural", Mio then appears and slaps Takasuke around the head, calling him in a more or less affectionate term "BakaTaka" that he should stop trying to scare Rin with all this "mumbo-jumbo" nonsense and that just because Takasuke is the student council representative for his school year below both Rin and Mio's, that doesn't mean he can have a swollen head, something of which he already feels like he has thanks to Mio's slap, Mio dares Takasuke to say something cheeky like that again, only for the younger brother to comically slowly walk away in fear but not before eyeballing Rin, saying that he's got his eyes on Rin, after leaving, Mio then steps up to take a close inspection at Rin and comments that he's handsome, she says that if he wasn't her cousin she would totally date Rin but she comically laments that life, as such, is cruel, anyways, she says to Rin that now all the ladies at Masaki High will be looking out for Rin but that he better be careful, especially around a young woman a year older then both Rin and Mio named "Hinami Kurosaki", rumour has it that she seduces most of the older male students and make them serve her, to do her bidding with the promise of giving them "pleasure" should they comply, all the girls in Mio's class and up refer to Hinami, as the "Devil Lady", upon hearing that title, suddenly, Rin feels like a big rush just went through his head, Mio asks him if he is alright and Rin just silently nods, she wonders if he is still suffering from exhaustion upon travelling all the way out to Kokoro, nevertheless, its almost time for the Asakura family to go to sleep, Tora has to get up early so he can go to work very early in the morning and that he can't have the family disturb him in the middle of the night, thus the whole family agreed that they would go to bed reasonably very early, Mio says that the bath is free for Rin to use and that he should take it whilst its hot since hot water is very hard to come by these in a poor house such, as theirs, taking Mio's advice, half an hour later, Rin is seen relaxing in a nice hot bath with a rubber duck in the middle between his legs above the water, slowly, he starts to nod off and then feels like he is drowning inside of the bathtub, eventually, he finds himself able to breathe inside of it but that very both shockingly and surprisingly, the entire scenery itself has changed around Rin and that Rin himself is seen wearing his new high school uniform which he wasn't suppose to wear until tomorrow, as he wonders whether or not he is dreaming, he then hears a sudden voice, it sounds Demonic, it calls out to Rin, calling him to what is called the "Demon's Hellgate", here, in front of the Hellgate, Rin summons from out of the blue a Katana resembling a Light-saber from Star Wars and with the "Light Katana", he holds it with both of his hands, clenching it tightly, just wondering just what the hell is going on, as suddenly, a three headed masked Cerberus attacks him, this Cerberus is called "Doganger", it has two red masks resembling the kind worn by Spanish Luchadores and a third mask that resembles the face of a rag-doll, Doganger tries to attack Rin and he is forced to block, counterattack and attack directly Doganger, the latter attempt to no avail, Doganger spews out blue fireballs that Rin is somehow able to cut in half upon instinct, as during throughout the moment this battle had started, his arms and legs had started moving on their own, even when he didn't want them to and it felt like his body was being controlled by someone else entirely, Rin hears a voice inside of his mind and wonders who it is, it doesn't say, only that "It Is Thou and Thou Is It", if "Thou" wanted to master "It's" power the next time he faces the Hell-hound, he had best prepare himself for all kinds of things that would await him in the near future and with that, Doganger suddenly just vanished out of sight, leaving Rin to wake up coughing water from the bathtub, as he placed his hand upon his forehead before looking at his other hand, wondering what did that dream, that nightmare was all about, what did it do to him, as before he knew it, he felt..."different", like he had some kind of "enlightenment" or something like that the best way to describe the occurrence, before Rin could ponder any further, it was getting late and he had to be ready for school tomorrow...even in sleep, Rin still pondered what did that all mean...the next day came and classroom was already in session, Rin was introduced to his whole new class, as Rin Megumi, the new transfer student. Chapter I: Come Forth! My Persona!! : (To be continued, what did everyone think of the Prologue if i may ask please? 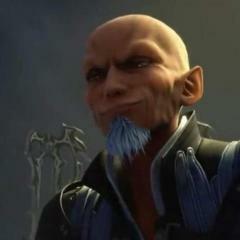 please tell me if i wrote down anything that would be deemed offensive to the people on KH13, in my defense, i was only trying to write a mature Persona video game based story-line but if i had crossed any boundaries, please may someone tell me and i will immediately correct them right away.). Text Shin Megami Tensei-Persona 666.
" This is the Devil's number...will you, answer it? if you do, you must accept and are bonded to the contract that awaits you, still, will you...proceed? Yes? or No? " How do you think past Persona games will be referenced in Persona 5? In Persona 4, you get to go to Gekkoukan High School and meet Chihiro & go to Club Escapade from Persona 3. On the Female side of Persona 3 Portable, you get to meet a young Yukiko. In Persona 4 Golden, there's a fish named Akihiko. I'm not really sure if there are references to Persona & Persona 2 IS/EP. I really want Rise or Kou to be mentioned. Persona 4 Arena Ultimax Alternate "Shadow" Cover & Igor "might" be DLC character? I love how they look! It's AWESOME!! And during the opening movie of Persona 4 Arena, which the opening has been released today, they showed off the playable characters in the game including the Adachi DLC. But I've noticed something. They've added Igor! I was thinking to myself, "How is this possible?! How is he playable?!" And that got me thinking "Wait, why is Igor here, but not Fuuka or Theodore?!" The game comes out in a few days for Japan, so they can't change it and that means Igor gotta be playable!" Yeeeeeeeeap. This can happen sort of in Pimpsona- Err I mean Persona 3. Are Persona 4's characters stronger than Persona 3's? SPOILERS! In Persona 3 characters have to use gun shaped mechanisms called Evokers to bring out their Persona, they were given one of these if they had "The Potential." They do not however have the potential to summon a Persona without Evoking it out, people think Aigis doesn't need an Evoker because she doesn't have one, that's wrong, she is a robot/human and has an internal Evoker and Koromaru has a collar Evoker that activates when he howls. However, Persona 4's characters can do It at will without an Evoker, just be summoning and smashing the card, does this mean that mentally, the Persona 4 cast are stronger than Persona 3 cast? I SWEAR! I don't use the argument "Oh but Persona 3's characters can hit for 999 damage hue hue hue." NO. Anyway, fellow Persona fans, what are your takes on this? I'd quite like to get a discussion going out of this.